Welcome to my collection of photographic montages depicting street sceens and building. 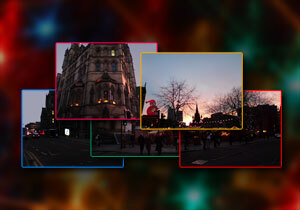 If you are interested in purchasing any of these images please contact me. They can be printed on glossy photographic paper to bring out the vivid colours, deep shadows and hi-resolution definition and delivered via the post, framing can also be arranged. Panoramic photo montages of West Didsbury in Manchester incorporate a historic image taken at the turn of the century alongside images of the modern day. 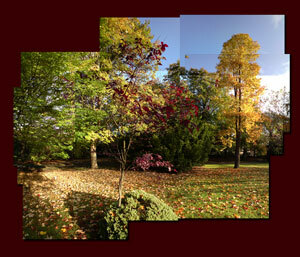 Panorama view of Lapwing Lane in West Didsbury Manchester. 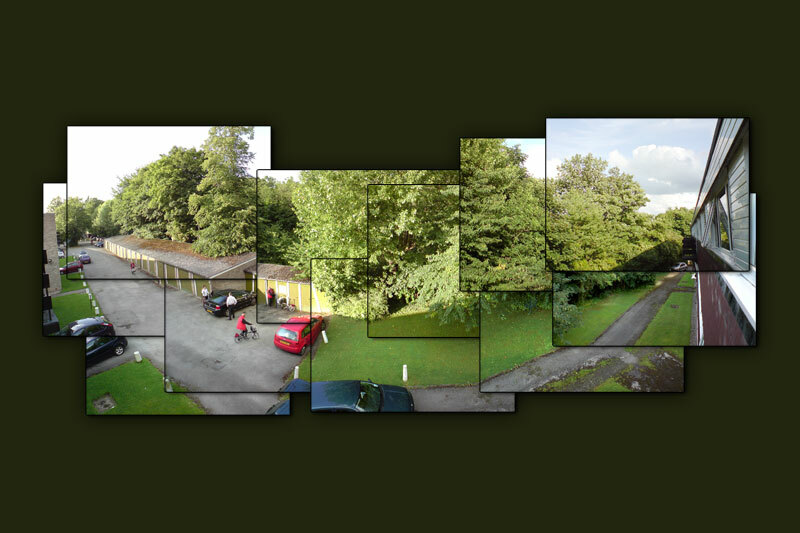 This collage incorporates a historic picture taken at the turn of the century looking down Lapwing Lane toward Burton Road. 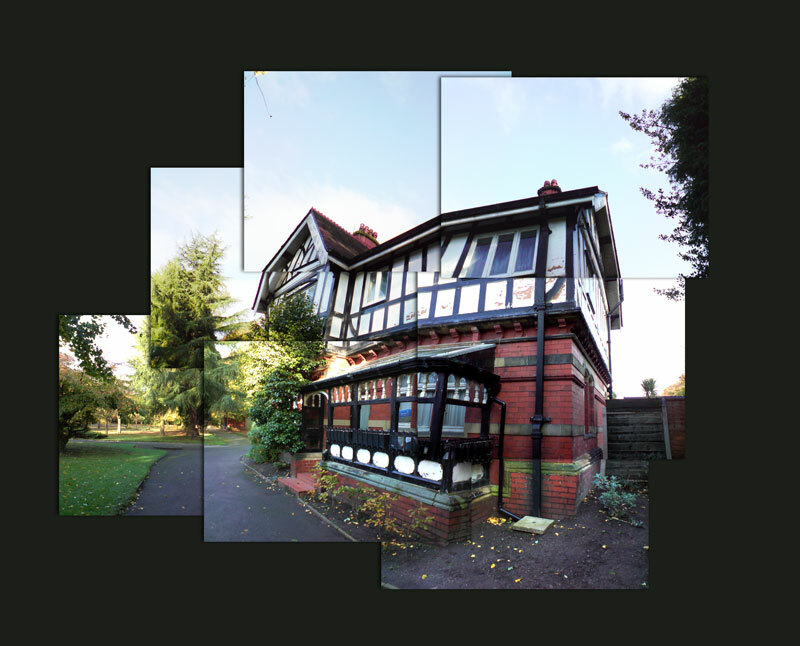 Anamorphic panorama view of Lapwing Lane in West Didsbury Manchester. 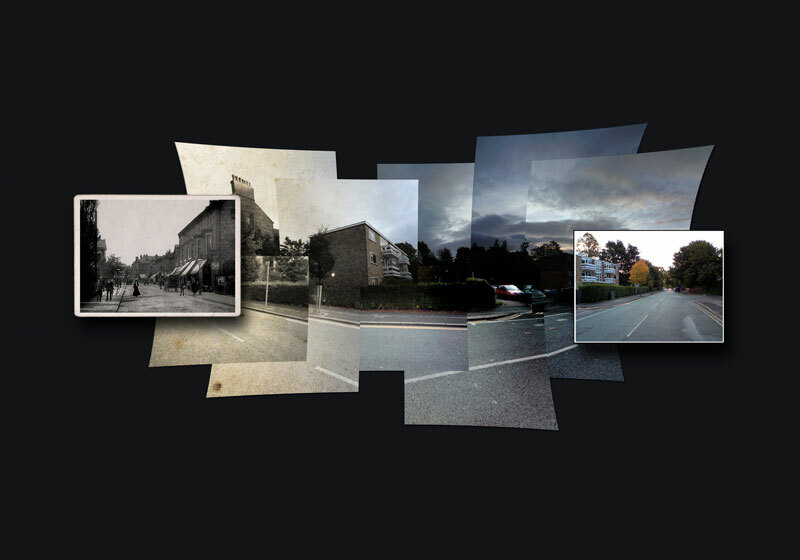 This collage incorporates a historic picture taken at the turn of the century looking down Lapwing Lane toward Burton Road. 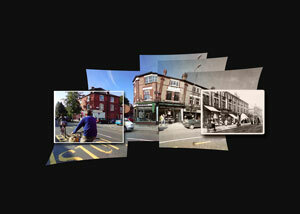 Panorama view of Burton Rd in West Didsbury Manchester. 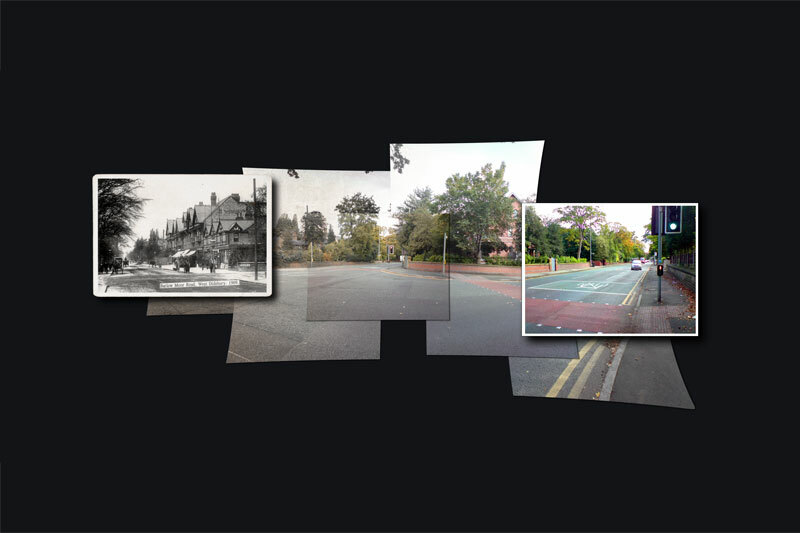 This collage incorporates a historic picture taken at the turn of the century looking down Burton road toward Lapwing Lane. 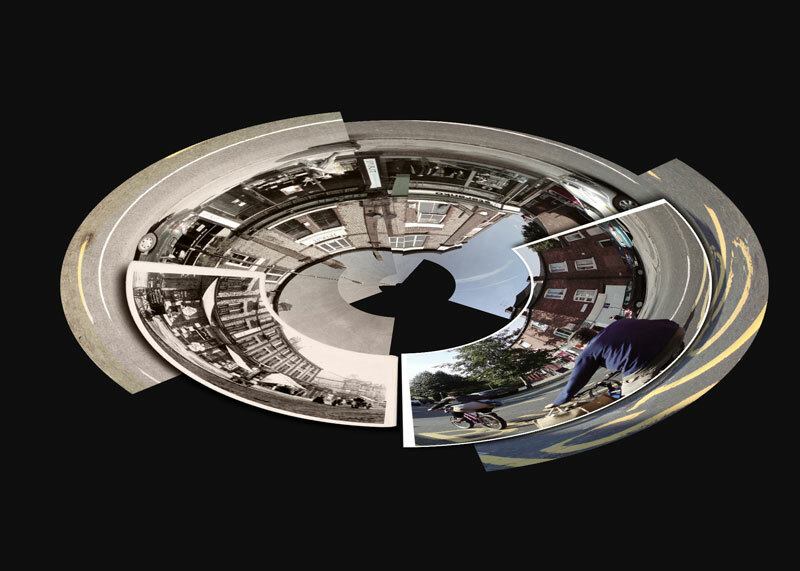 Anamorphic panorama view of Burton Rd in West Didsbury Manchester. This collage incorporates a historic picture taken at the turn of the century looking down Burton road toward Lapwing Lane. Panorama view of Barlow Moor Rd in West Didsbury Manchester. This collage incorporates a historic picture taken at the turn of the century looking down Barlow Moor Rd toward Chorlton. 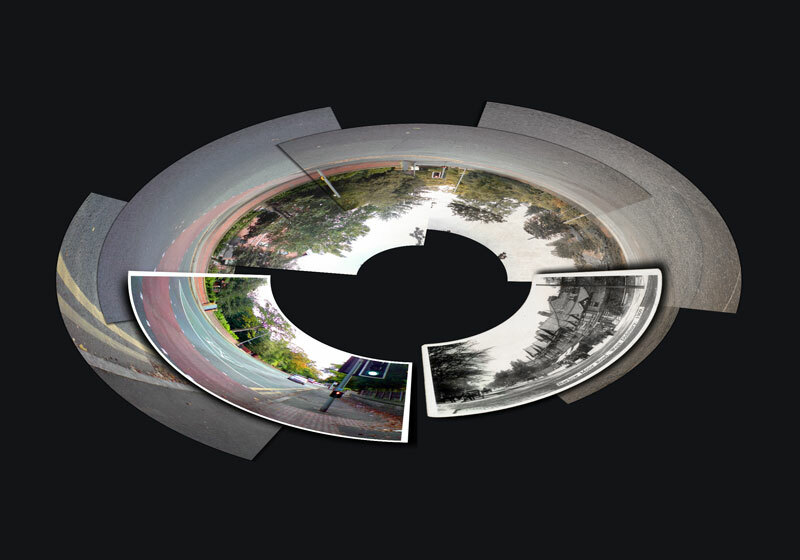 Anamorphic panorama view of Barlow Moor Rd in West Didsbury Manchester. 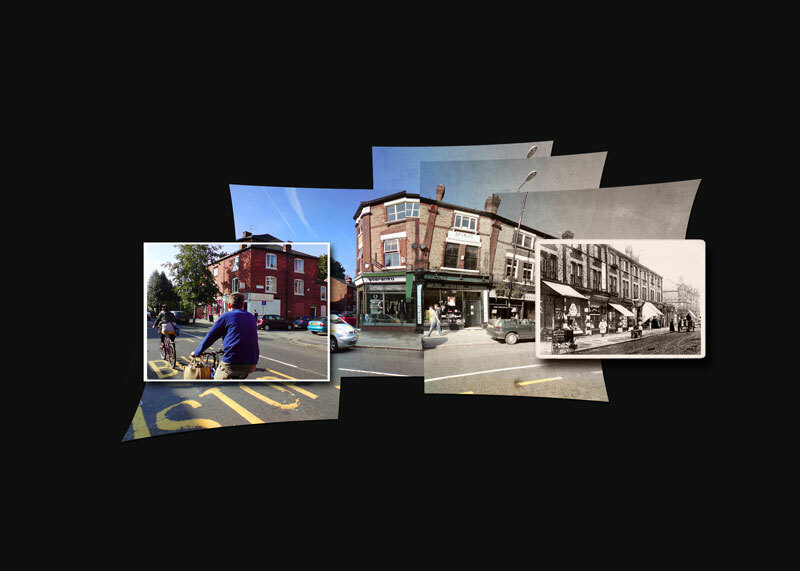 This collage incorporates a historic picture taken at the turn of the century looking down Barlow Moor Rd toward Chorlton. Panoramic photo montages of West Didsbury in Manchester capturing the streets and buildings of the local area. 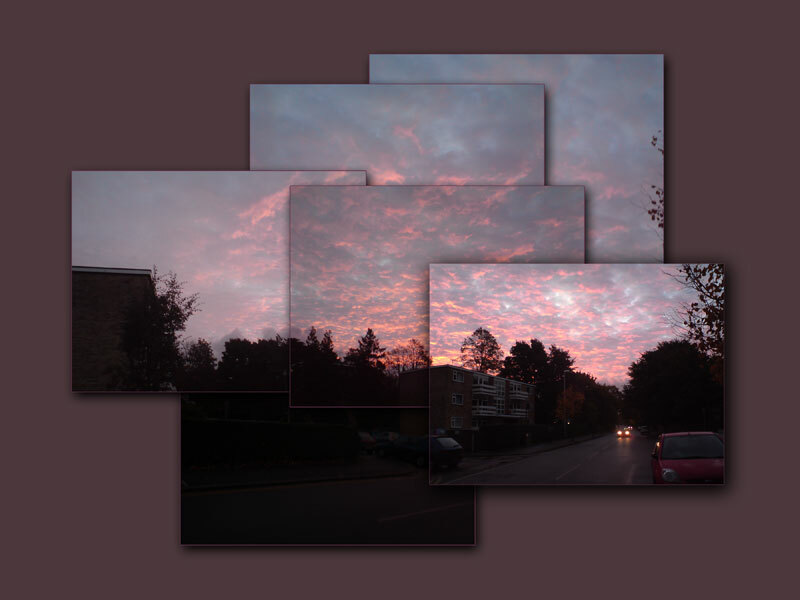 Photo montage of a vivid sunrise over Lapwing Lane in West Didsbury, Manchester. Photo montage of Brankgate court in West Didsbury, Dave returns from work and keeps a watchful eye on thinks. 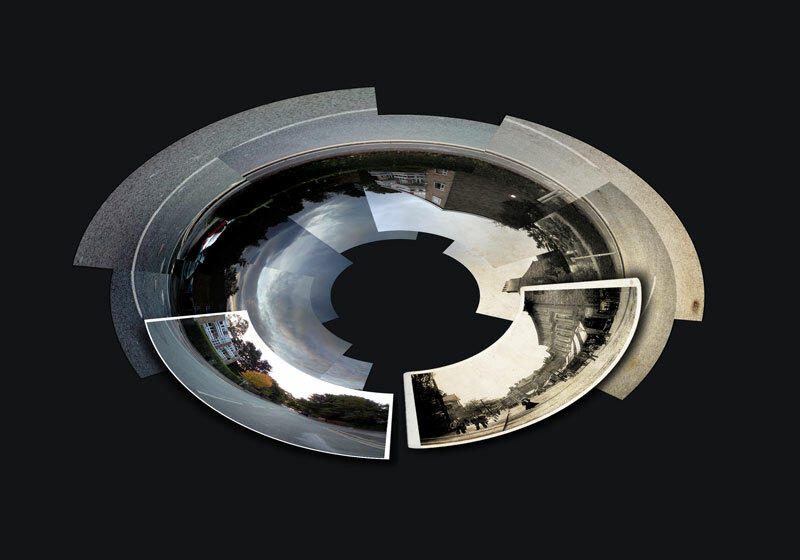 Panoramic photo montages of the north east coast including Whitby and Scarborough capturing the streets and buildings of the local area. Panoramic photo montage of the South beach in Scarborough taken from the south cliffs. Photo montage of Whitby Abby in North Yorkshire capturing the Gothic splendor that inspired Bram Stoker’s Dracula. 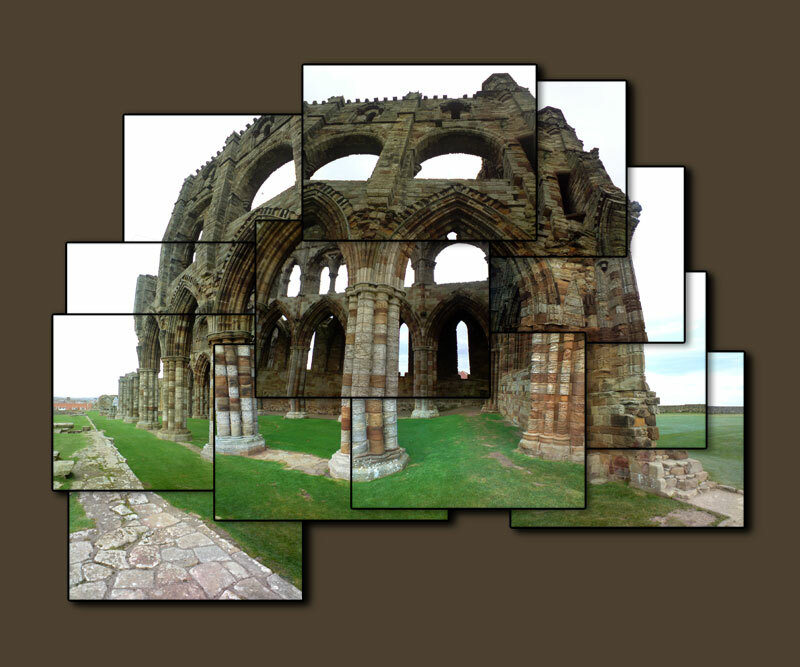 Photo montage of the ruins of Whitby Abby in North Yorkshire. 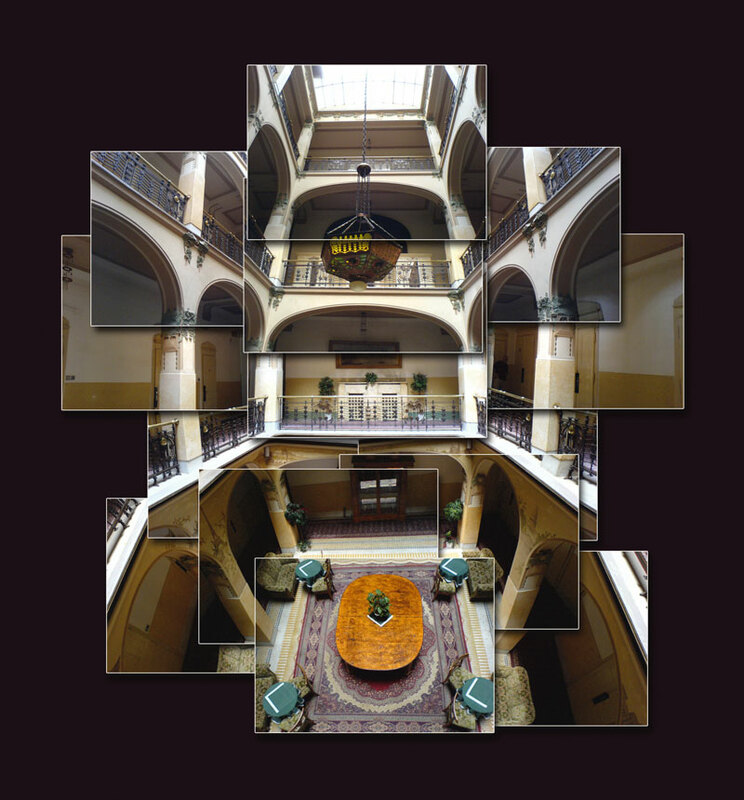 Panoramic photo montages of Manchester capturing the streets and buildings of the local area. 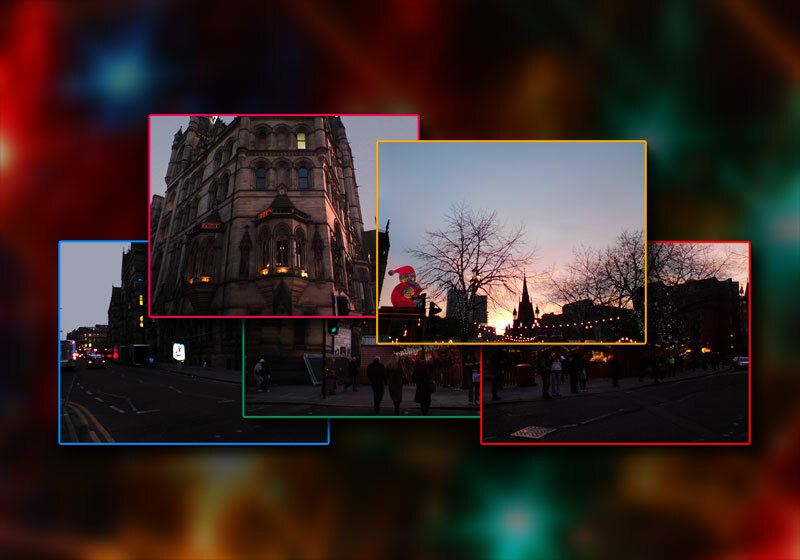 Photo montage of the Christmas market featuring Santa. 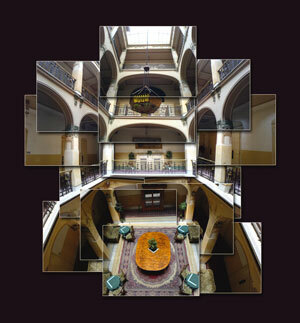 looking across the town hall during the sunset. 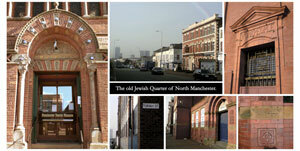 Collection of pictures taken during a historic walk in the old Jewish quarter of Manchester. 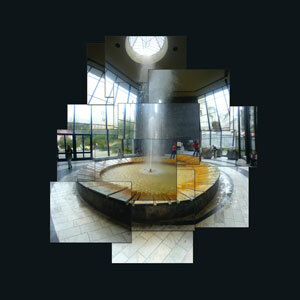 Photo montage of the spring in the town of Karlovy Vary in the Czech Republic. 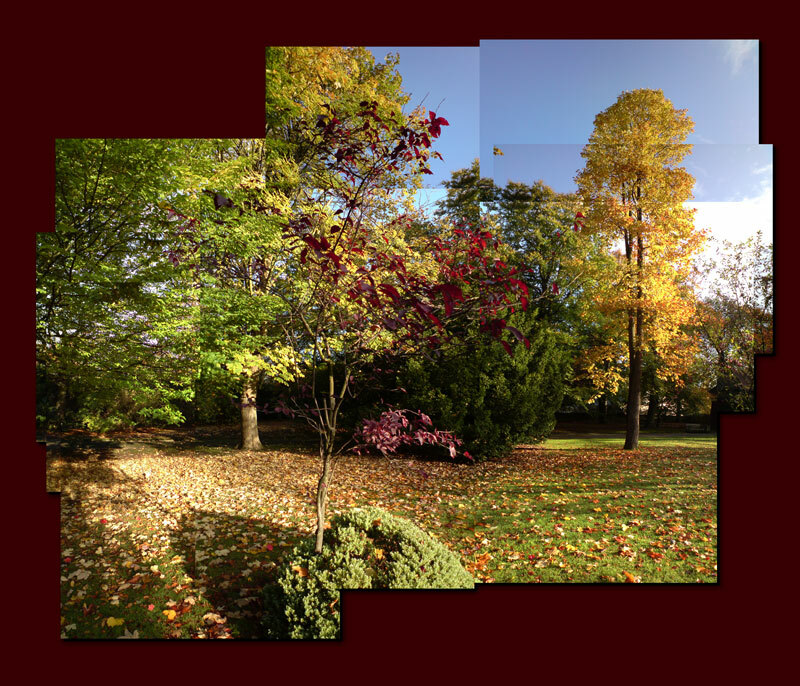 Marie Louise Gardens is situated in the south of West Didsbury on Palatine Rd, It was given to the citizens of Manchester in 1903 by Josephine Constitute, in memory of her daughter, Marie Louise, who died at a young age. 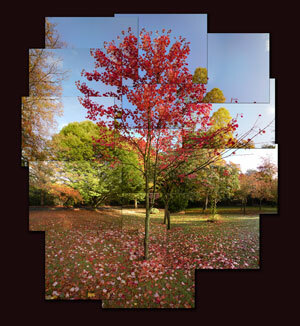 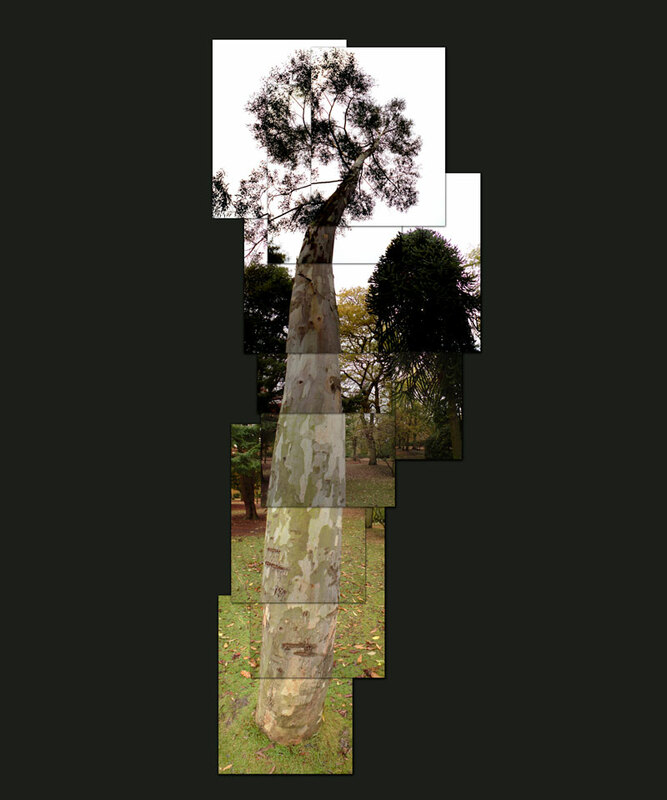 These pictures capture the splendid botanical collection of trees on display in this much over looked spot.